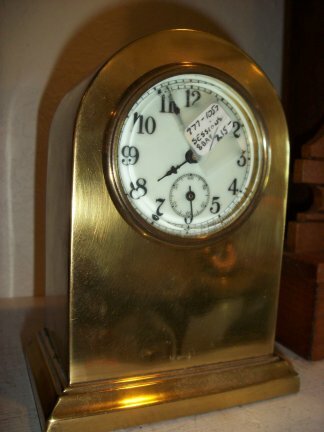 This is a miniature brass 8 day clock made by the Sessions clock company. It is a balance wheel time only movement. 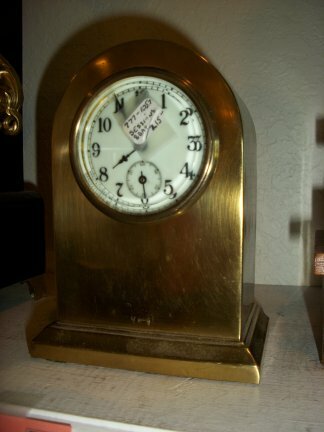 Side view of the clock. It has a porcelain face and a second hand.